Thank you for your interest in participating in the 14th Annual Roseland Cinco de Mayo Festival on Sunday, May 5, 2019. The festival hours are from 3:00 p.m. to 9:00 p.m. Our last festival was a huge success thanks to your participation and all the people that attended this event. This is a unique free admission, safe, family friendly, and alcohol free event! Last year the attendance was estimated to be over 10,000 people. This is a local event and our intent is to feature local entertainment, vendors, businesses, and non-profits! The 2019 vendor/booth applications are ready and are being sent via e-mail or regular mail this week to prior participants. The application includes festival information, vendor requirements, rules and guidelines, and refund policy. The vendor rules and guidelines will be strictly enforced to insure the safety and quality of the event. 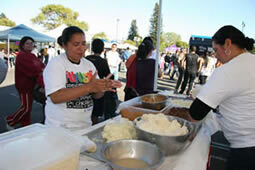 This event is self-funded and organized by community volunteers. 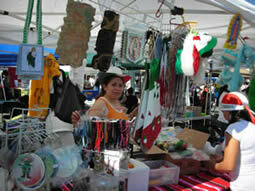 The Santa Rosa Cinco de Mayo Committee relies on sponsors, donations, and booth sales to finance this annual festival. 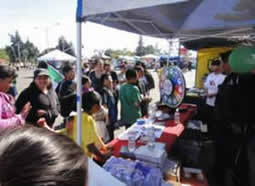 The vendor/booth rates are to cover costs associated with this event. We greatly appreciate your involvement with the festival and welcome your business or group’s participation at the 2019 Cinco de Mayo Festival! We greatly appreciate your involvement with the festival and welcome your business or group’s participation at the 2019 Cinco de Mayo Festival! Your vendor packet includes all of the forms and information below. Get the complete vendor packet here or download each individually below! Applications are approved on first come, first served basis. Consideration for best location will be based on when the committee receives your completed application packet. Application packet must include all necessary, required, and appropriate proofs of insurance, request for insurance waiver, health permit, fire permits, and all fee payments. Please only contact Vendor Coordinator for VENDOR questions, applications, or concerns.